Rain or Shine Elasto Painters guard, James Yap came in sharp against the NLEX Road Warriors yesterday in the Cuneta Astrodome, 96-87. 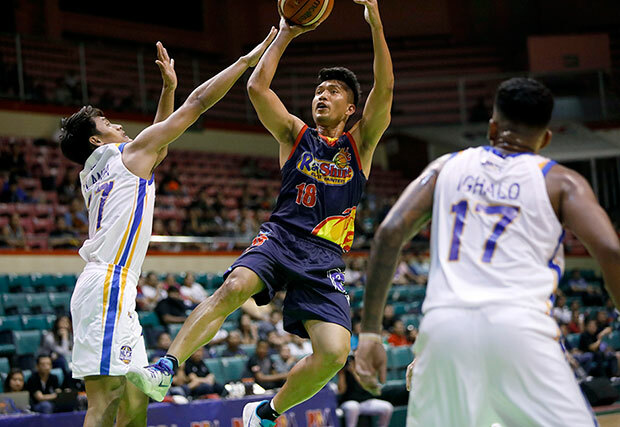 Yap who is fresh from signing his three-year contract with Rain or Shine registered 20 points as he shot 57 percent from behind the three-point arc. With Chris Tiu already left the Elasto Painters, Yap was given a thirty minutes of playing which he took advantage by giving spectacular game. ROS rookie Javee Mocon also had a good game in his PBA debut where he contributed 13 points and five rebounds. Elasto Painters sixth overall pick in the 2018 PBA Draft is considered by coach Caloy Garcia as the steal from the pool of rookies. “From the start, we thought Javee Mocon is a steal from the draft,” said Garcia. “From his San Beda days, he showed malakas ang katawan niya at kayang makipagsabayan. The nice thing is that he doesn’t stop working hard,” Garcia also said. ROS spoiled the return of Kevin Alas and the first game of JP Erram in NLEX. Alas poured 12 points in his return to the PBA hardcourt after missing almost the entire 43rd season. Erram had 10 points and five rebounds in his Road Warriors debut. Coach Yeng started both mentioned players coming-off the bench.